You loved it so much, we're keeping it on the menu. Our Restaurant has perfected the traditional Afternoon Tea, but there was just one thing missing – a vegan option. Why can’t we indulge in all our favourites while sticking to a plant-based diet? That was the challenge we set for our chefs, and they delivered. Head to OXO Tower Restaurant for our expertly-crafted, full-flavoured, ‘please keep it coming’ Vegan Afternoon Tea. The menu has all the classics – homemade scones, clotted ‘cream’ and even ‘cheese’ sandwiches, but there are a few surprises too, like sage and onion stuffing sandwiches on cranberry bread, chestnut and mushroom ‘sausage’ rolls and coconut and pineapple cakes. And don’t even get us started on the mini lemon meringue pies. It’s completely homemade, completely plant-based and completely indulgent. That’s what we want from an afternoon tea. Vegan Afternoon Tea will be served at OXO Tower Restaurant Monday to Friday 3pm – 4.30pm, Saturday 3pm – 4pm and Sunday 3.45pm – 4.45pm. It is £35 per person or £45 with a glass of Prosecco on arrival. Guests must state the number of vegans dining on this menu in the booking notes of their afternoon tea reservation. 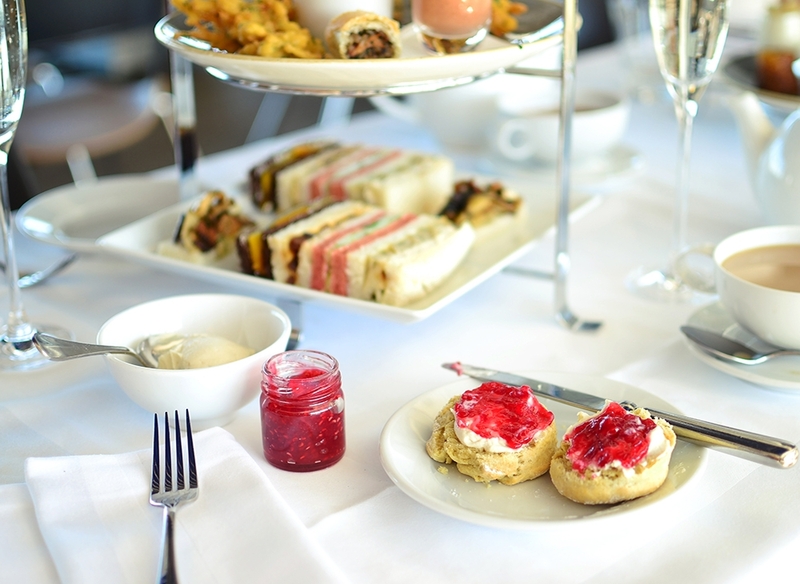 For a full overview of the afternoon tea selection at OXO, click here. To buy an Afternoon Tea gift card, click here.